Now I have been to Cleveland a couple of times and I can’t say I actually saw this rocking take place. I mean, this whole “rocking” concept, frankly, eludes me, as most people who have made my acquaintance for more than a minute or two since the 1980’s will attest. Whether an individual applicant can, based on use of a mark at a given time in history regardless of how information about that use was obtained, be forever barred from registration because the use at that time was unacceptable. I write more about all that here, for now. That’s right: Two patent lawyers of the illustrious Finnegan Firm with “P-period” in their names as against one LIKELIHOOD OF CONFUSION® guy from Brooklyn. Just saying. 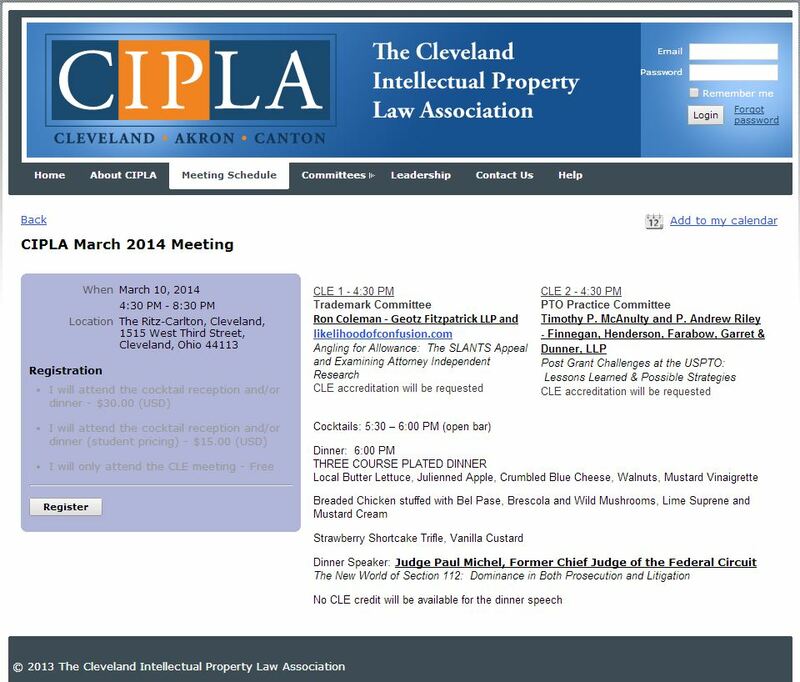 Anyway, I am grateful to IP diva-in-the-making Katherine Eppley of Pearne & Gordon for suggesting that CIPLA invite me to rock in Cleveland next Monday, whatever on earth that means (I mean “the rocking” — the “invitation” I made sure to get in writing). And don’t give me some line that you came to the meeting but went to the Finnegan thing! 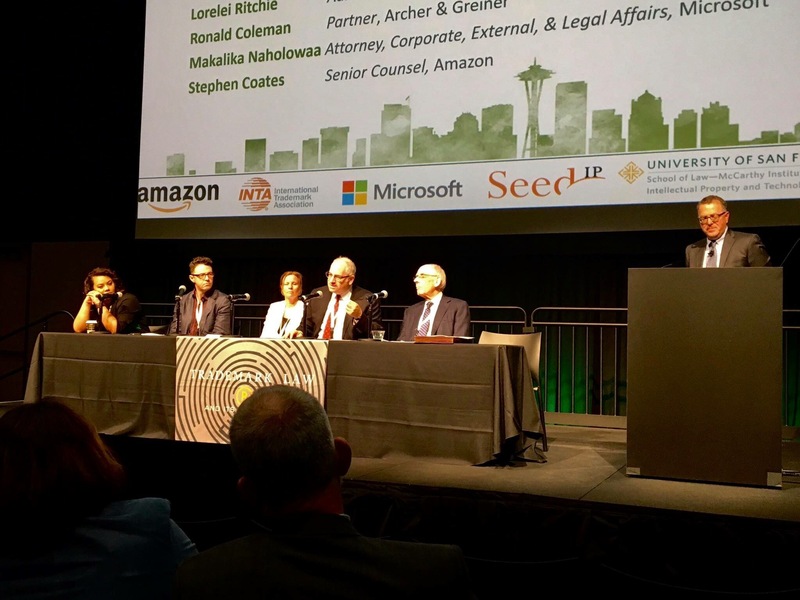 I said “rocks,” not … patents. We were so happy to have you at CIPLA this week! And you should see Cleveland today– it’s an icy, rainy, slushy, swirling mess. Good thing you didn’t overstay your welcome… Kidding, of course! You are welcome any time, and we hope to see you again down the road. Best regards from this snowy lakeside city.